Hey everyone , i know it’s been a minute but I’m sure were all busy because its time to get on board and go back to school. This is my second year in college and I’m going for my business degree. Knowing that college is already expensive enough! We ourselves have to manage a way to save as much as possible and stay focused! 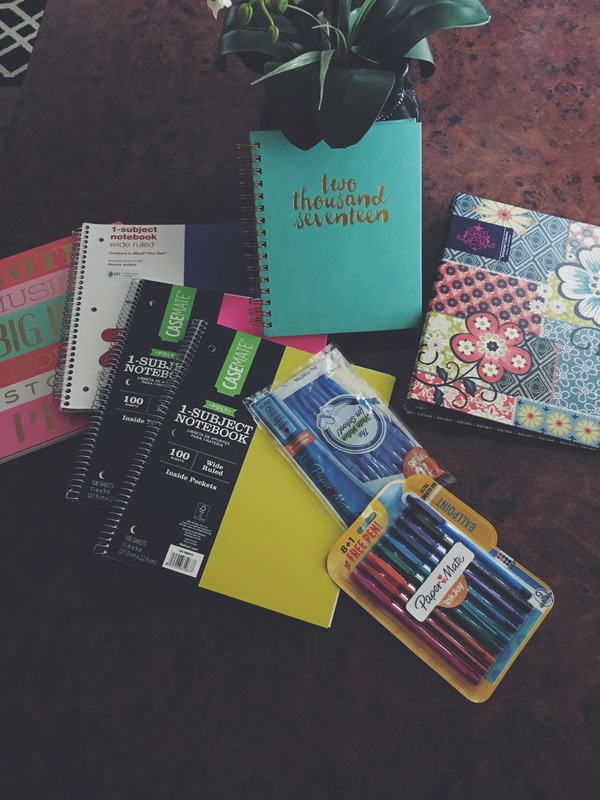 I got most of my school supplies at Walmart and Marshalls, everything was super cheap and inexpensive. For school i like to keep a journal with me at all times just to make sure i stay organized and keep myself in check, i like to write down things i have planned and also my expenses for school and just in general. I feel like its super important for us to consider these things because not having money and also not staying focused can really be a crash on yourself, so it’s always good to keep up and never let yourself get out of balance! Last year was my first year of college and it was a bit of a mess, i had no boundaries with spending and i was not as focused as i should have been , and that all itself took a really big tole on me , it almost made me feel like my future was going down the road, Now that i have learned my lesson its time to buckle down and stay focused!